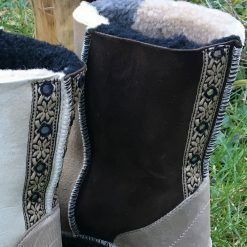 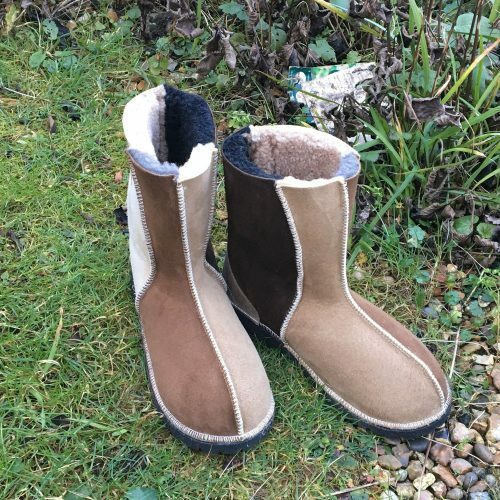 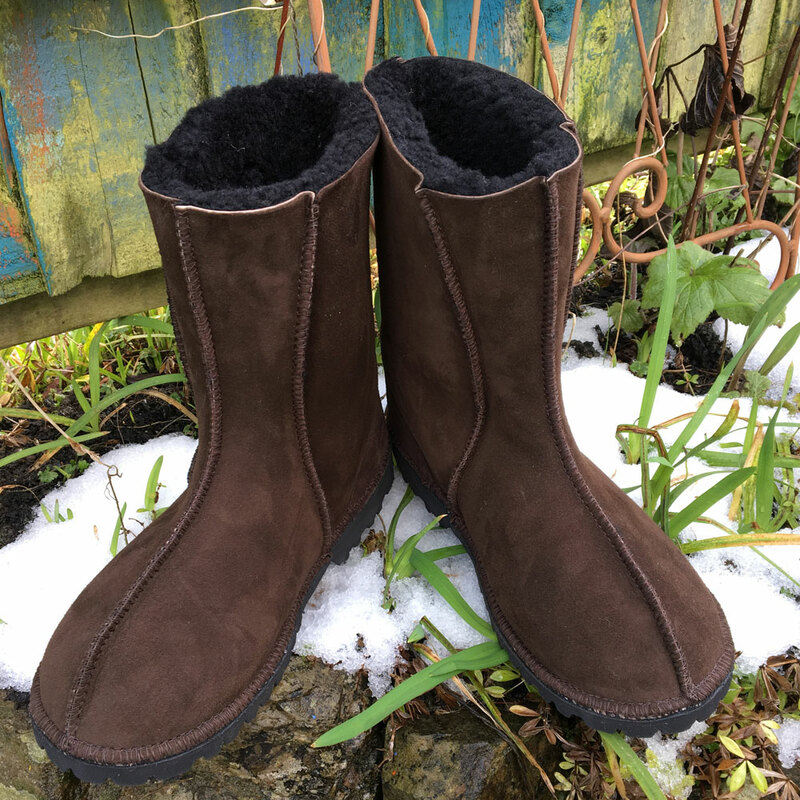 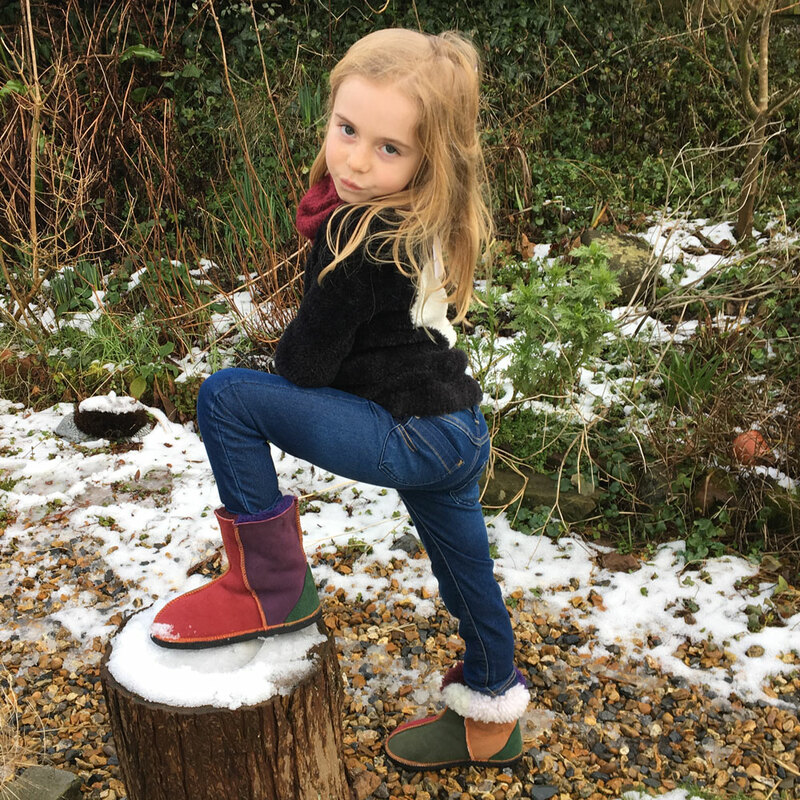 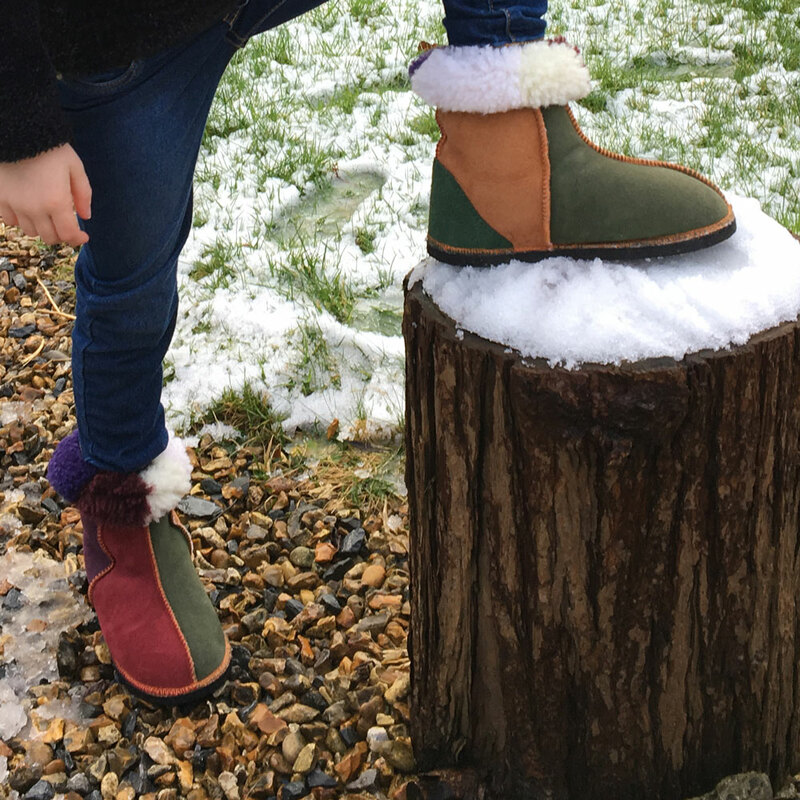 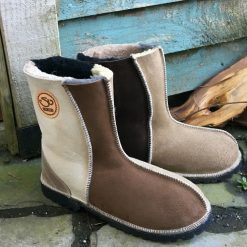 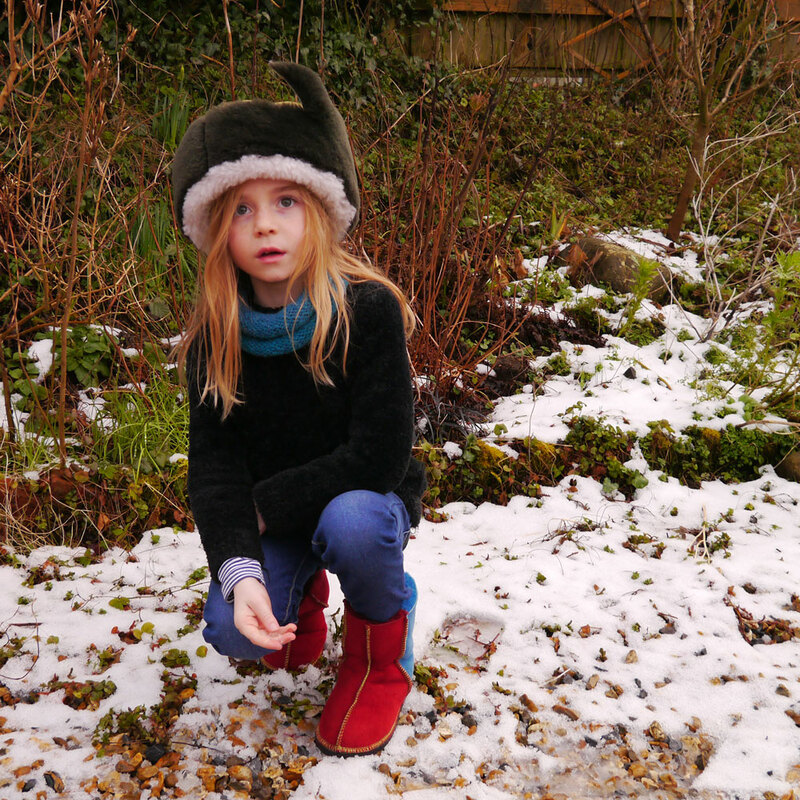 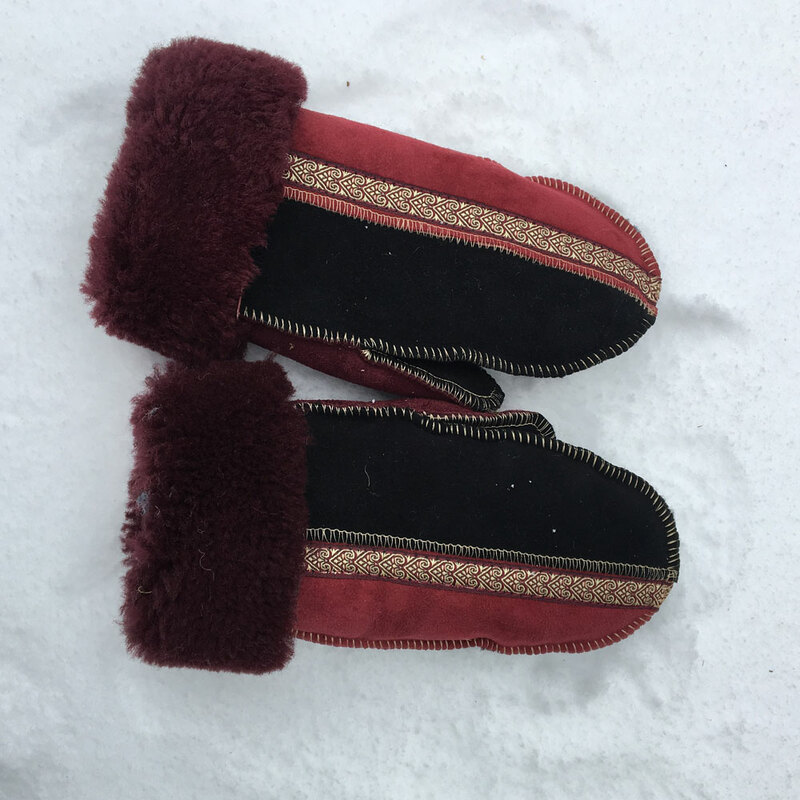 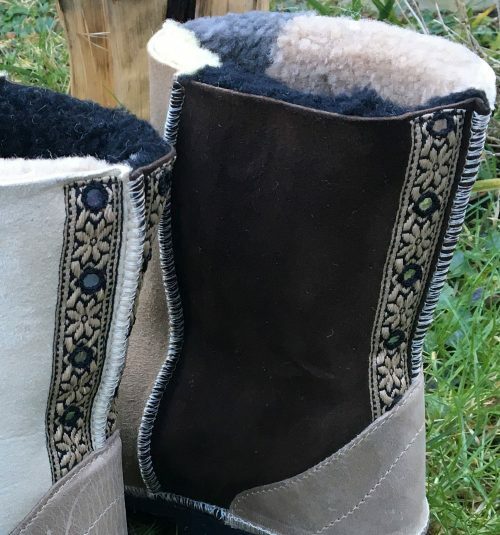 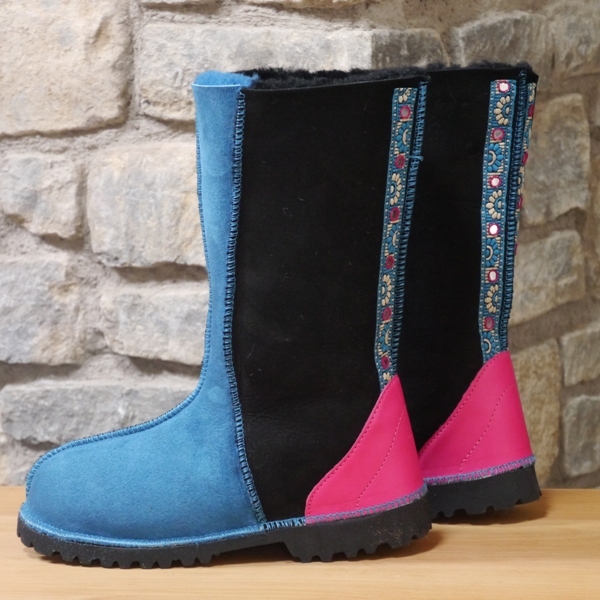 These sheepskin boots have beautiful embroidered mirror braid sewn on both sides of the back seam. The natural colours we have used are : Bark, Biscuit and Oatmeal and mocca with a leather reinforced heel. 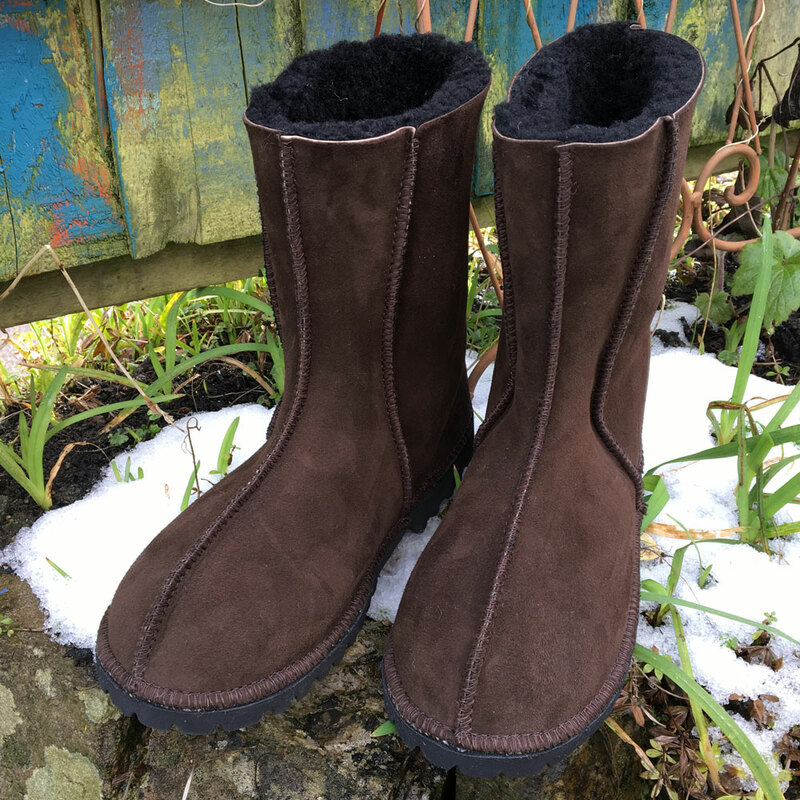 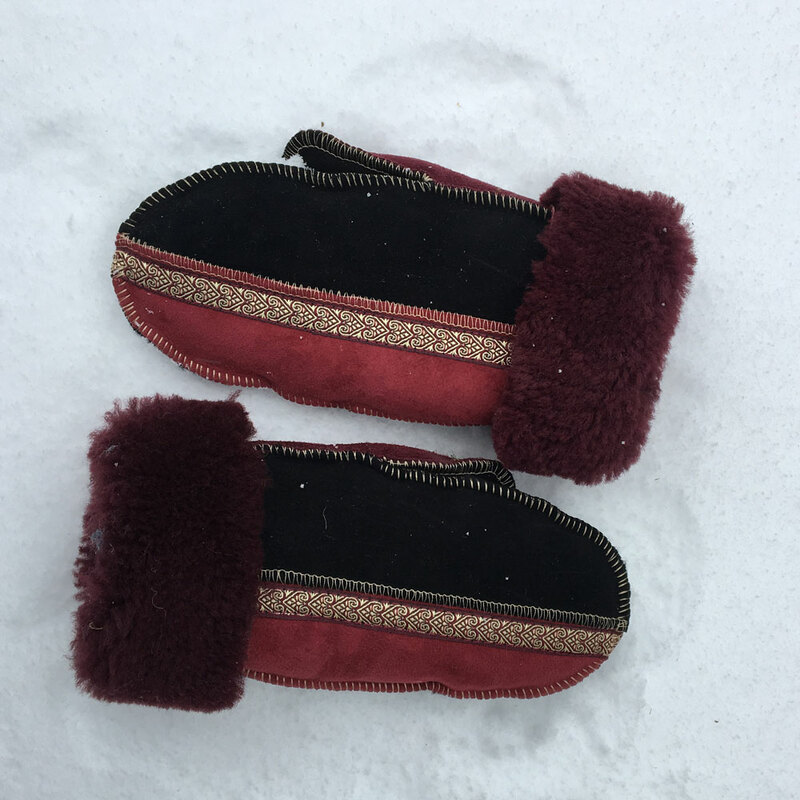 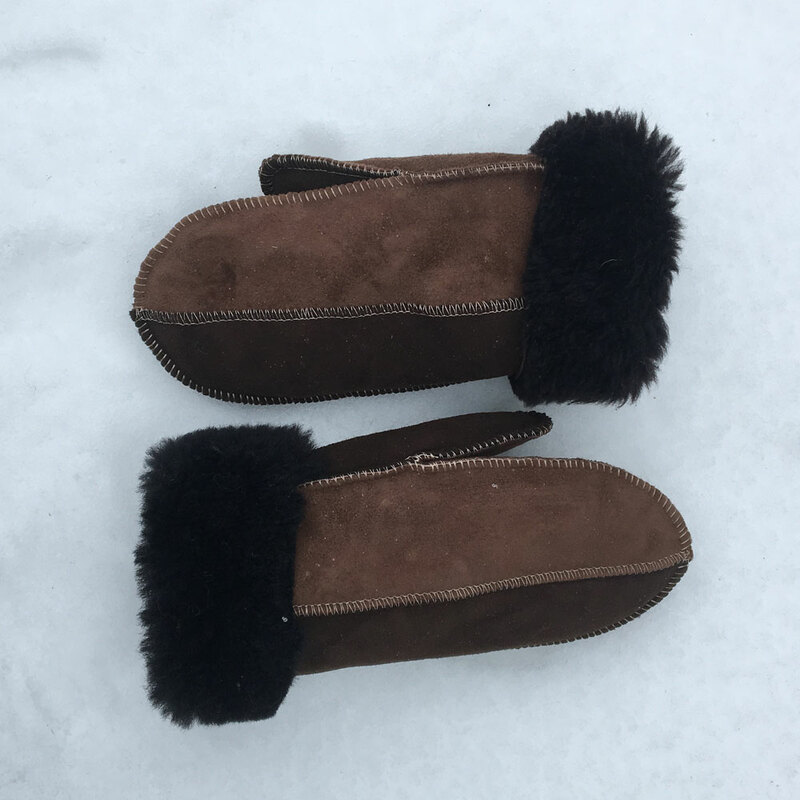 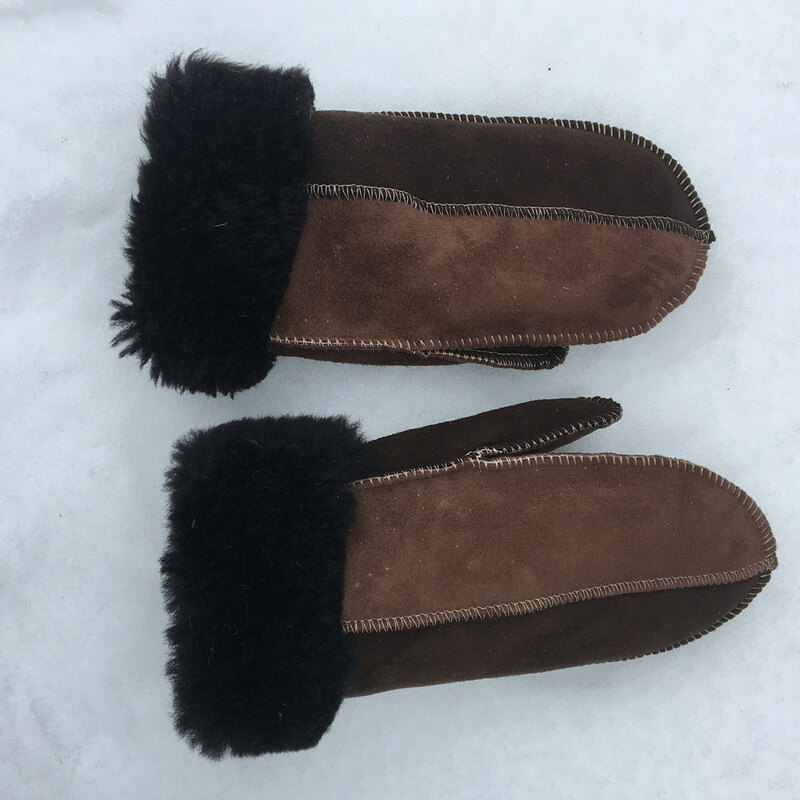 We don’t skimp on the details: our boots are double-stitched for strength and durability, we create a flat seam running down the inside of the heel for additional comfort and the strengthened suede or leather on the outside of the heel gives additional support holding the foot in place. 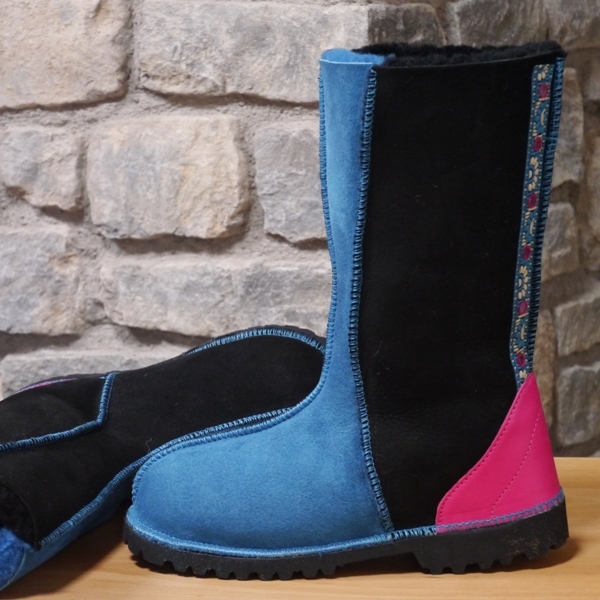 The shape of the boot follows the natural contour of the ankle.